Visualizing the important ingredients of a holistic digital user experience. What happens in-between different content. How the content is presented. What the user has to do to switch between content types. How the content is structured and organized. How the content is linked to the entire system. 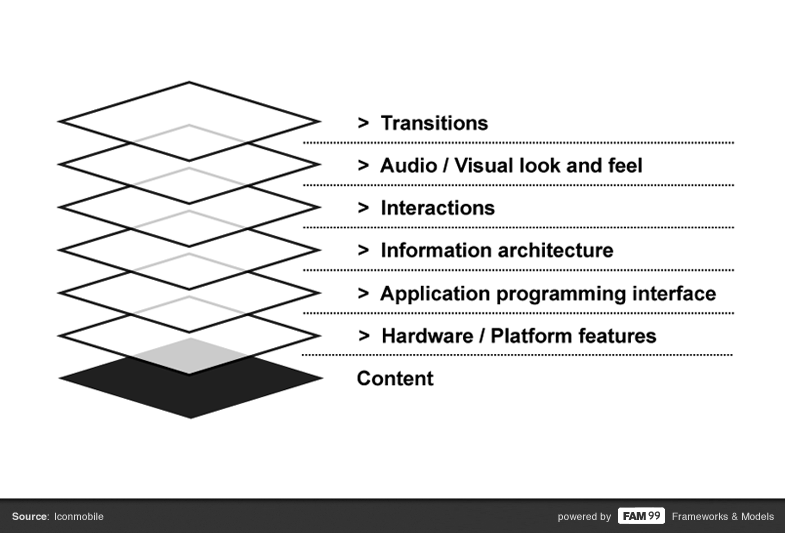 How the system hardware enables or limits the presentation of content.